Epilepsy Awareness Day is observed annually on March 26th. The day has become known as ‘Purple Day’ as people are encouraged to wear the color to increase awareness of Epilepsy. Nearly 50 million people in the world are having Epilepsy as per the World Health Organization (WHO) which does not have a known cause. 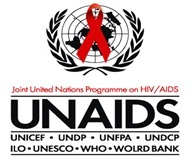 UNAIDS is urging countries to step up action to meet the 2020 target of reducing TB deaths among people living with HIV by 75 per cent, as outlined in the 2016 United Nations Political Declaration on Ending AIDS. ThePakistan government has approved a proposal to establish Sharada Peeth corridor that will allow pilgrims from India to visit the ancient Hindu temple in Pakistan-occupied Kashmir (Pok). Sharda Peeth corridor, when opened, will be second religious tract after Kartarpur corridor (for Sikh pilgrims) in Pakistan-controlled territory that will connect the two neighbouring nations. A yarn bank has been set up at the Mysore Powerloom Silk Manufacturers Cooperative Society to benefit the state’s weavers. The bank, with aid from the Centre, will supply pure silk yarn and zari to weavers who subscribe. Currently, the weavers have to source yarn locally through agents and wholesalers. Public sector lender Bank of Baroda will develop an agri-digital platform called ‘Baroda Kisan’ in order to provide solutions for all major agricultural requirements. Six companies – Skymet Weather Services, Weather Risk Management Services, BigHaat, Agrostar India, EM3 Agri Services and Poorti Agri Services — have signed a memorandum of understanding (MoU) with the bank for this project. The agri-digital platform will be executed byIT Centre of Excellence (ITCoE) of Bank of Baroda in partnership with IBM India. The platform aims to solve agricultural plights by providing reliable and customized information, inputs for use, the convenience of renting farm equipment, and market linkage for sale of agriculture produce. The Reserve Bank of India has slapped a penalty of Rs. 2 crore on Punjab National Bank for non-compliance of regulatory directions with regard to SWIFT operations. SWIFT is a global messaging software used for sharing information on inter-bank transactions by financial entities. President Ram Nath Kovind was honoured with Croatia’s highest civilian award – the Grand Order of the King of Tomislav. Kovind is in the European country as part of his eight-day three-nation visit to Croatia, Bolivia and Chile to further strengthen bilateral ties between India and the three countries. Karur Vysya Bank has appointed N S Srinath as non-executive chairman for a period of three years. He was the non-executive independent director on the board of the private sector lender. Srinath had earlier served as an executive director on the board of Bank of Baroda and superannuated on May 31, 2012. The Comoros election body declared President Azali Assoumani re-elected in a single round after an election the opposition rejected as fraudulent. Assoumani had won 60.77 percent. The runner up, Ahamada Mahamoudou, one of 12 opposition candidates, received 14.62 percent. The Comoros is a volcanic archipelago off Africa’s east coast, in the warm Indian Ocean waters of the Mozambique Channel. Shri Shambhu S. Kumaran has been appointed as the next Ambassador of India to the Kingdom of Morocco. 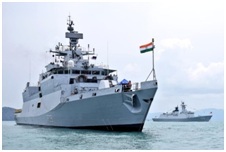 India and Australia will conduct AUSINDEX 2019 bilateral naval exercise off the coast of Vishakhapatnam in Bay of Bengal from April 2 to 16, 2019. Overall it will be third installment (edition) of bilateral naval exercise between Indian Navy and Royal Australian Navy. It will see participation of over 1,000 Australian defence personnel, four Royal Australian Navy ships.It includes HMAS (Her Majesty’s Australian Ship) Canberra, HMAS Success, HMAS Newcastle, and HMAS Parramatta. Both countries will also deploy P-8I aircraft and P-8A aircraft, which are long-range anti-surface warfare, anti-submarine warfare, intelligence, surveillance and reconnaissance aircrafts capable of broad-area, maritime and littoral operations. Makalu is the fifth highest mountain in the world at 8,485 metres (27,838 ft). It is located in the Mahalangur Himalayas 19 km southeast of Mount Everest. Apple card is a virtual credit card that can be integrated into the Wallet app of the iPhone. The company has partnered with Goldman Sachs and Mastercard for payment handling and processing. There is also a physical titanium credit card which does not have any other information apart from the Apple Logo and the card holder’s name below it. This also means that there is no CVV, credit card number, expiration date, and signature that are usually found on traditional cards. All this information is stored in a special security chip used by Apple Pay called Secure Element. 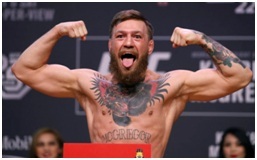 IrishMixed Martial Art (MMA) fighter Conor McGregor has announced his retirement from the sport. He was a retired horticultural officer, ex-chairman of Shaheen Public High School Mamigam and owner of Alamdar Public school Wussan Kangan. She was awarded Ekushey Padak award in 1992, National Film Award for best female playback singer for a movie, Chhutir Phande, in 1990, Bangladesh Shilpakala Award.